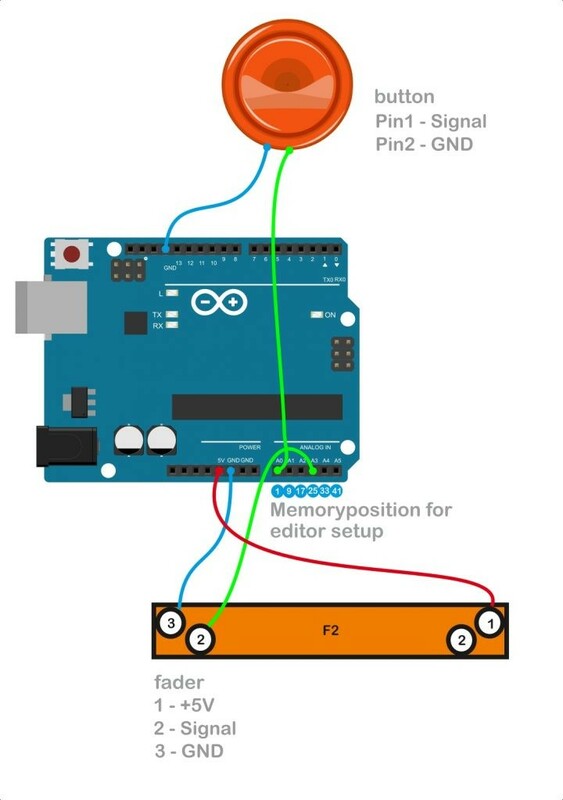 The very first step into the Dart framework : a simple circuit to be assembled directly on the Arduino board. 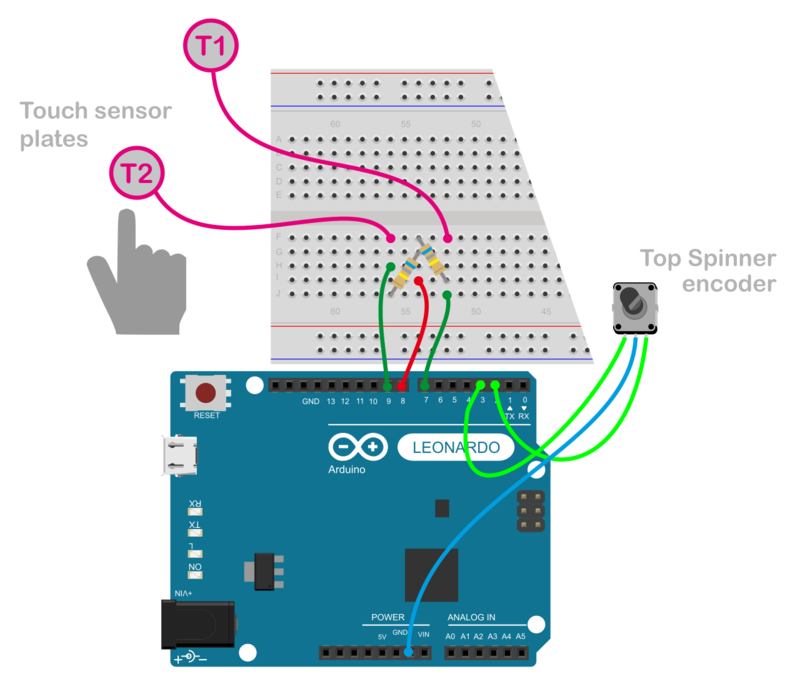 Arduino Leonardo(recommended) is automatically recognized ad a MIDI device, after sketch uploading. 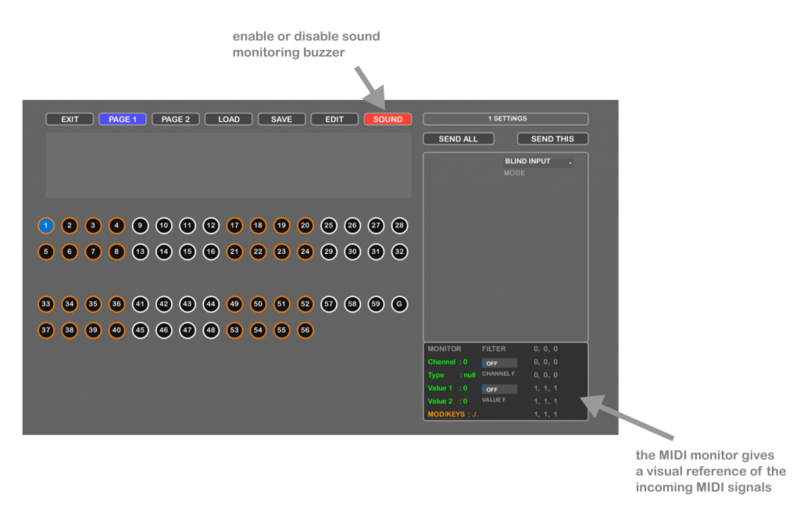 Use the Dart_Editor to monitor the MIDI activity. Any action on the modifiers is now producing a sound effect. the main encoder, that is used for the TOP Spinner in or Dart complete units. These elements are managed immediately in the AUTODETECT mode, with a fixed MIDI output setting. The touch sensors will work as simple NOTE on/off buttons, with fixed sensitivity. find out more about using the ENCODER and TOUCH SENSOR. The autodetect mode is only temporary and not perfectly stable. So, we recommend using the DART_EDITOR to create and load a preset.